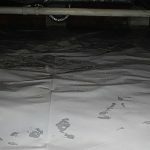 Moisture Control Greenville, NC | Quality Termite and Pest Control Inc.
Is moisture affecting your home? If so, you need to be concerned. 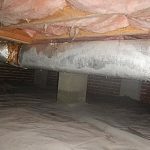 Moisture, wood-decay fungi and termites cause billions of dollars in damage to homes each year. 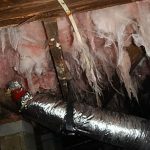 Wood-decay fungi can develop and grow if there is enough moisture in a crawl space along with a lack of adequate ventilation. 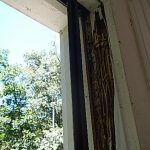 Excessive moisture is also attractive for infestation by termites and powder-post beetles. 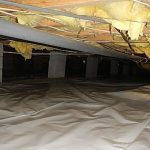 When moisture builds up in a crawl space, it is absorbed into the wood and foundation of the home. 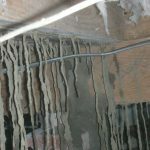 Fungal spores begin to grow and actually thrive when there is high humidity, When spores of wood-decay fungi are activated by excessive moisture, they grow root-like structures called hyphae. Hyphae grow into the wood and break down the fibers that give wood its strength. Termite infestations are also more likely in moist, unventilated areas. 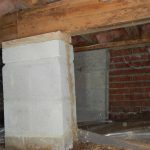 Foundation moisture, wood-decay fungi and termites can cause extensive damage to your home in just a few years. Wood-decay fungi…How will it affect your home? There are several different types of wood-decay fungi. There are those that cause brown rot, water-conducting fungi/dry rot and white rot. With brown rot, the wood becomes brownish. Upon drying, the wood shrinks into small cubical pieces that are easily crushed into powder. 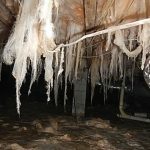 Dry rot produces papery yellowish-white fans of hyphae and whitish to black root-like structures. This results in a brown rot kind of decay. White rot gives wood a bleached appearance and the wood becomes stringy and spongy, not brittle. 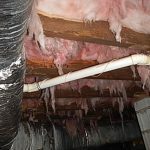 Identifying a moisture problem…What are the signs? Contact Our Moisture Control Specialists Today! At the first sign of an issue, contact our moisture control professionals right away! We proudly provide service to home and business owners throughout the Greenville, NC area. Call now to schedule your consultation to control problematic moisture issues.